'Eid ul-Fitr' marks the end of the month of Ramadan. 'Fitr' means to break and it signifies the breaking of the fasting period and of all evil habits. It is a show of joy at attaining spiritual prosperity after a month of fasting. Our e-cards are just perfect way to wish your loved ones a blessed Eid. 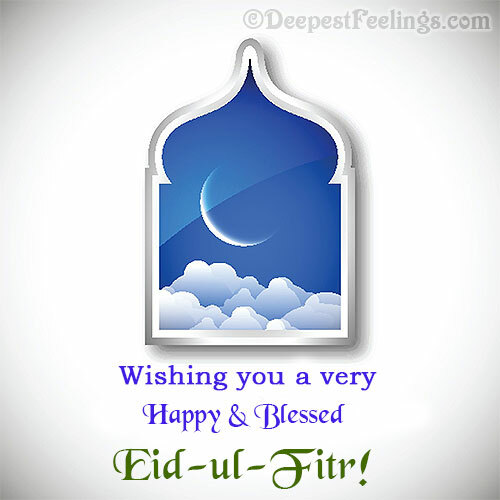 Celebrate Eid-ul Fitr with deepest feelings.Click here to refer these Eid-ul-Fitr greetings to your friends.